Stay Safe With Regular Brake Checks | Topline Automobile Inc.
Do you ever feel a vibration on your steering wheel when you hit the brakes? This very well may be a sign to get your brakes inspected. This experience is called brake vibrations. When you push down on your brake pedals, the brake pads put pressure on the rotors and/or drums which slows down the wheel. Over time the rotors and drums can become deformed, which then creates a shaky effect when the pads come into contact with the rotor. This in turn makes for an irregular effect on your wheel. Your car relies on flush contact between the rotors or drums and the pads for a smooth braking experience. 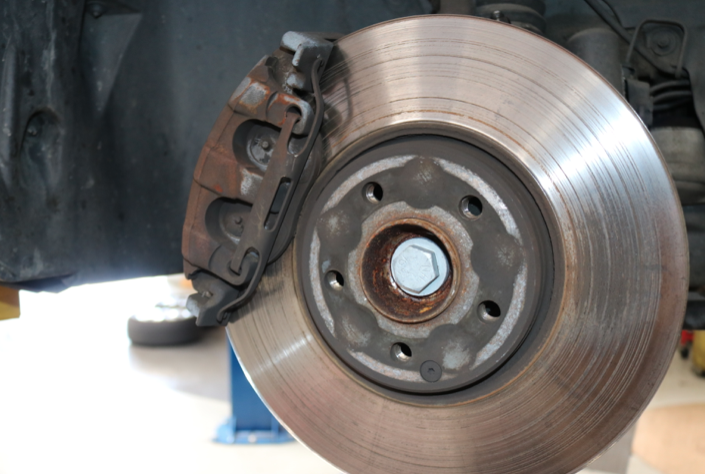 It might be time to get your brakes checked if you are experiencing brake vibrations. Remember, safety first! Even if you are not having brake vibrations but feel you haven’t had your brakes inspected in a while you may want to bring it in. With the heavy wet weather, we’ve been having your brakes are so, so important. Today’s modern cars have advanced braking systems that are complicated and dependent on qualified maintenance by trained technicians. We have those technicians on our team here. Let us know if you would like to have your car’s brakes inspected for whatever reason and we’ll get you scheduled right away.